Many treasured family recipes are never written down. Instead, they are passed along verbally over simmering pots in steamy kitchens from one generation to the next. 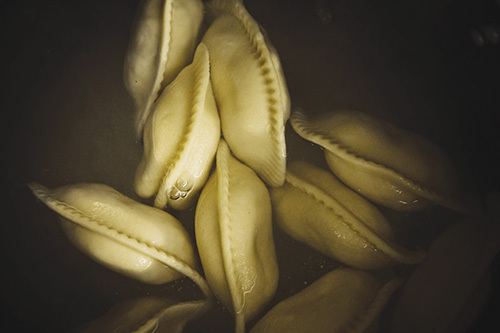 That’s how the Pierogi Gals got their grandmother’s recipe for the half-moon shaped dumplings — filled with potato and cheddar, sauerkraut and mushrooms, farmer’s cheese, and more — that are making them locally famous. 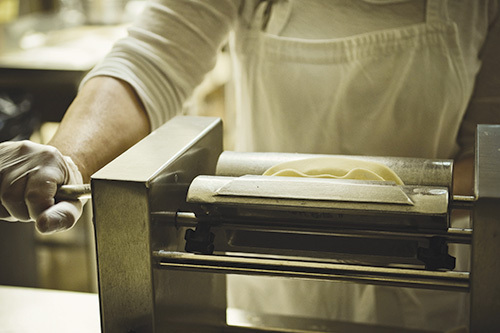 Sisters Victoria and Karen Les watched their mother make pierogi in the kitchen of their two-family flat in Hamtramck as kids, and never thought the plump little bundles would become a business. But in 1995, when their mother was terminally ill, the sisters — along with a third “sister,” their brother’s wife Helen — realized the recipe she had learned from their grandmother would die with her if they didn’t preserve it. “I told you girls I wouldn’t live forever,” the Pierogi Gals recall their mother saying. And so during the last few weeks of her life, they watched carefully as she showed them how to make pierogi — just as it was prepared in the old country. It was December 1995, the traditional time to serve pierogi. Christmas Eve supper after the sighting of the first star in the sky, known as wigilia in Polish households, always included pierogi. They started making pierogi to “keep Mom’s spirit alive,” says Victoria. As they grew more proficient, friends and family often asked them to produce the little bundles for parties and events. As requests poured in, they realized that they had a budding business. But to make the pierogi more widely available, the women had to find a commercial kitchen and learn how to package and market them. It took two years of planning — and some growing pains. “The first packaging was a disaster, with the labels falling off,” recalls Victoria. 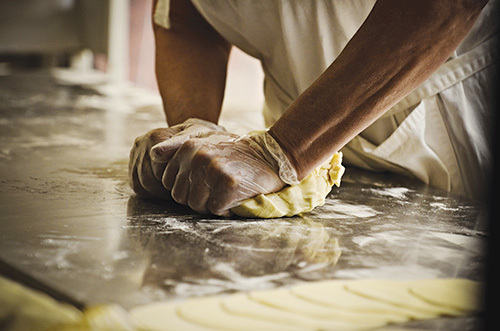 They credit the Michigan State University Product Center for helping them solve the packaging problem, and the First English Lutheran Church on Vernier Road in Grosse Pointe Woods for renting them the spacious and well-equipped commercial kitchen. 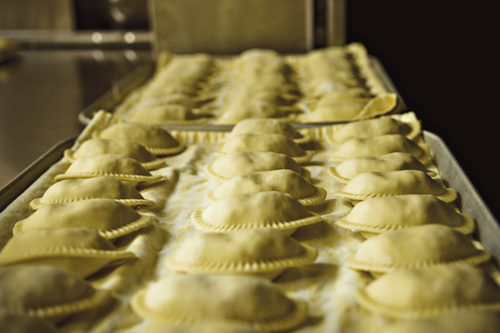 There, they produce their handmade pierogi three to four days a week, using Michigan products whenever possible, including Gielow’s sauerkraut, and local eggs, potatoes, and cheese. 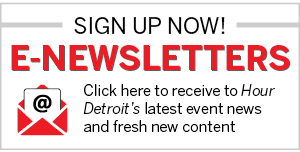 The product debuted two years ago at a Grosse Pointe street festival and farmers markets during the summer. Since then, the Pierogi Gals have expanded to offer eight varieties, including redskin truffle, sauerkraut and mushroom, potato cheddar, and five mushroom — with apple and blueberry available seasonally. The pierogis are available at Oxford Beverage & Deli in Grosse Pointe, Blue Bay Fish & Seafood Market in Grosse Pointe Woods, and Randazzo’s Markets in Macomb, Clinton Township, and Warren. But there’s little doubt the delicious and surprisingly light little dumplings will start turning up in more places.